I love the beginning of January because the garden doesn’t require too much work, the days are colder (typically) which makes it easier for me to stay inside and work on planning my garden for the year. I love picking out the seeds I am going to grow for the entire year. Usually I choose to many for my space as does most avid gardeners. We will probably never learn! There are always several new varieties I just can’t resist or wait to put into the soil and try. As always, some will become favorites and some will probably be put on the “notty” list. 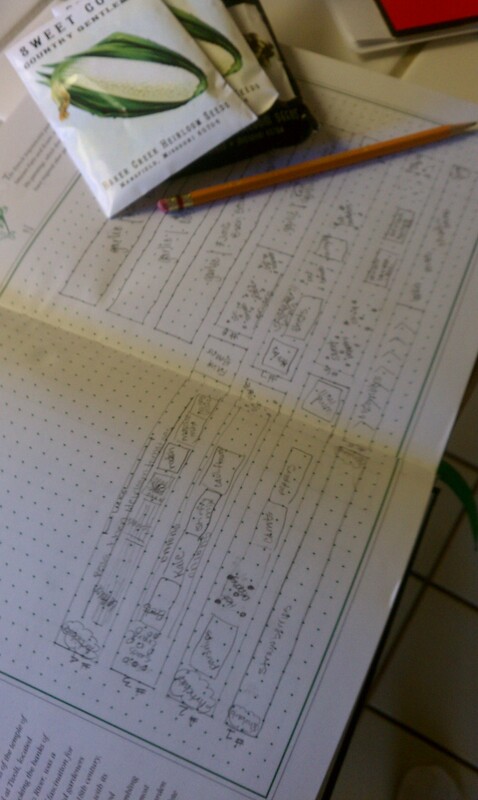 I always start out with a diagram of my garden including measurements. I use grid paper and a pencil. I then look at last years garden design and see what I grow where and make sure I don’t grow the same crop in the same place as I did the year before. If you are just starting a new garden, you won’t have to worry about this, this year! Then I take inventory of my seeds & plants I will be growing for the entire year, Spring, Summer & Fall. If I like a design that I used last year then I will use it, If not, time for a new adventure. Just so you know, I have never used the exact same plan. Being a seasoned gardener I know which are companion plants (plants that grow well together) and I try to group these together while keeping the enemies away. If you are new to gardening, I suggest you look up companion plants. Know the planting times of each crop you grow. Most of these are easily found on the back of the seed packet. Plant wisely! Always try something new! If you are planting lettuce in the Spring, once it’s gone you can plant a late crop of corn, bush beans or a fall crop like garlic in its place. I never have an empty space in my garden for very long. I have raised beds that are three-foot wide. One of my beds for example has a sturdy trellis on the back side which I will be growing vine peas up it and in front I will be growing shorter crops that won’t shade out the peas like lettuce, spinach, baby bok choy, radishes. These crops will be gone in my area around the first of June. At this time I will pop in some late tomatoes along the trellis and carrots and beets in the front. Another example is where I grow my garlic. It stays in the ground from October till mid to late June and I amend the soil with compost and nitrogen and plant corn in its place. In years past I have done large areas of certain crops in my long raised beds, but this year I will be growing in smaller 3-4 foot sections so I can have a bigger variety of veggies, just not as many of each type. I like to keep taller plants in the back and shorter ones in the front. experiment! Have fun and record you work! Don’t forget to add some flowers to your garden. A few popped in here and there will add color, attract beneficials, and add interest. Herbs are another item you will want to add to your garden. You will always see basil growing near the tomatoes because they do so well together. At some ends of my beds I have small perennial herbs. It’s nice to have your own “fresh” herbs whenever you need them. Another thing to think about is your soil. If you have heavy compacted soil in one area and loamy soil in another, you may want to plant your root crops in the loamy soil so the root crop won’t have to struggle as much. With time your heavy clay soil, with some amending will become nice and loamy as well. I have several perennials in my garden like artichoke, horseradish and rhubarb. It’s a good idea to place them on the end or corners of your beds or rows so when you till the earth you don’t disturb them. Remember to plant things further away from these larger crops so they don’t shade out your annual veggies and flowers. 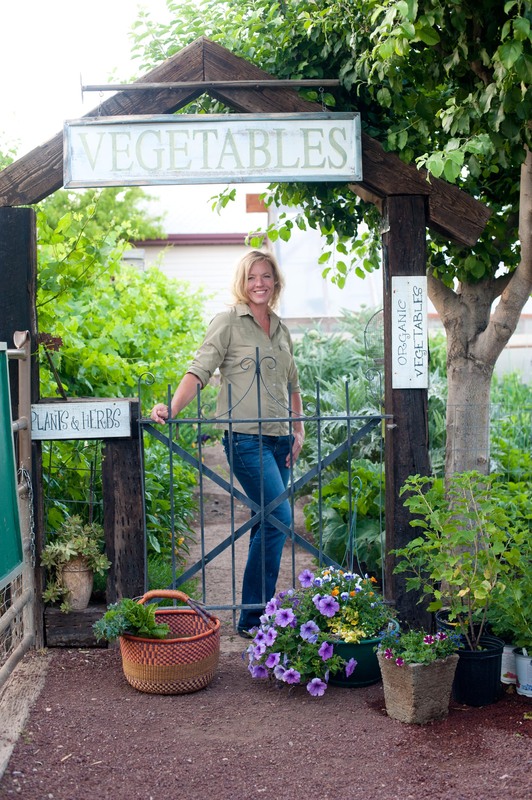 When you have an abundance of veggies and you don’t have the room to plant them, Think about adding some to your flower beds or in pots near the patio or porch. I love to add pepper and eggplants to my flower beds. Tuscan Kale is absolutely beautiful in the back of flower beds. This is called “edible gardening”. Be adventurous and inventive. Try something new and unheard of. That is what a true gardener does!